Helena Williams, one of the founders of Real Pro Yoga, explains her yoga teaching ethos. I trained with the Real Flow Yoga school, and the emphasis of my teaching is on enjoying your yoga practice for its’ own sake, whatever your goals. They may be increased balance, flexibility, strength or fitness – all can be achieved with a regular yoga practice at your unique pace. It is my firm belief that anyone can fit yoga into a busy lifestyle with some determination and the right tools. I trained in the same year as rebuilding my house and getting married, and still have a full time office job alongside teaching. This makes me sympathetic with the challenges and juggles that a busy life can bring – stress, RSIs, back pain, IBS and many more. I have suffered from all of these problems in the past and have found yoga one of the best tools to combat them and achieve balance. 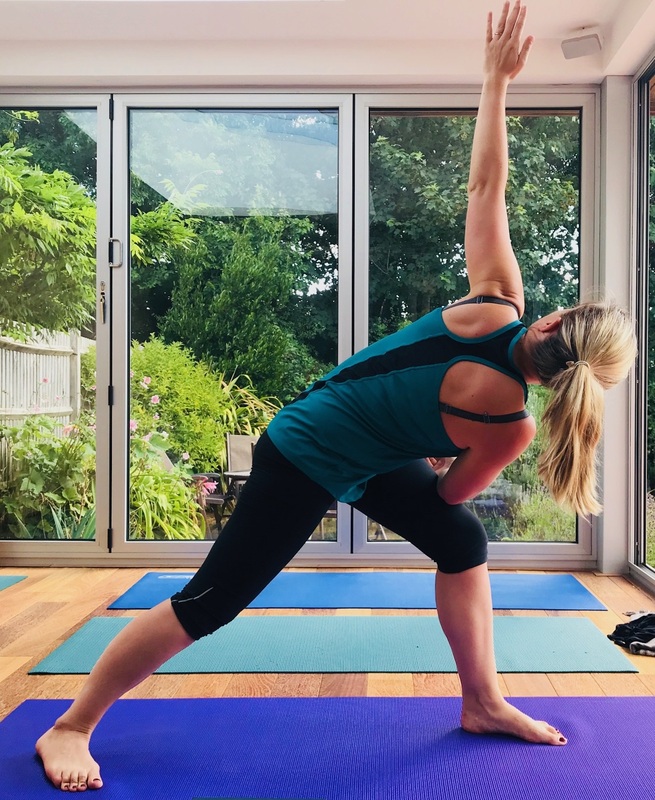 Having begun learning yoga from teachers online (when finding it difficult to get to a regular class), I can recommend a wealth of material to support you in a regular practice between classes. I will also refer you to other teachers within the Real Flow Yoga community if I’m unable to help with your specific issue, location or schedule.